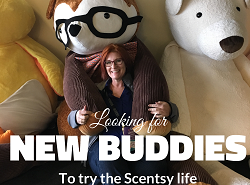 This Top 10 List to help your Scentsy business was originally developed by Superstar Director Melissa Gratz. She put it out a few years ago during the holiday season. I liked it so well I just tweaked it a bit (with her permission). The fun graphic was created by Superstar Director Christina Osburn. 10. Make THE SALE, and wear a smile on your face while doing it. 9. 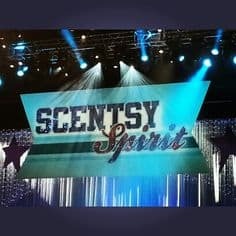 Spray every piece of USPS mail you send with a Scentsy Room Spray. While you’re at it, spray the cash in your wallet. You will pay for your items with the best smelling money in town. 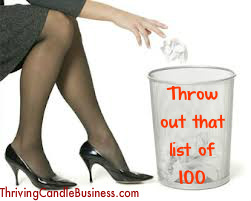 If one more direct selling company or sponsor encourages new recruits to Make a List of 100 People You Know, I’m going to stick a fork in my eye! I’m talking about the practice of spamming the snot out of their friends, family and acquaintances. It goes against the entire concept of target marketing and finding a niche. No wonder the direct selling industry still has a bad reputation in some circles. This archaic and tired practice claims that if you make a list of 100 people to hound, it’ll be your first networking contact list that will supposedly help launch your new direct sales career. Although, whether you’re selling candles, jewelry, kitchenware, makeup, home decor or any other product offering, wouldn’t you have better results if you presented your new product line specifically to the people whom you believe could benefit from and enjoy your goods? This concept of making a list of 100 is ridiculous. What if your dental hygienist started a business selling metal widgets that would help expedite an automobile factory manufacturing process? If this person made a list of 100 people she knows and included you in that list to push her steel vehicle widgets on, you’d think she was totally off her rocker for wasting your time. Yet as direct sellers, we’re supposed to do just that; having no regard to market to those who have a specific want or need. Instead of investing precious time trying to list and then contact all of the people you know such as: Family, Friends, Neighbors, Your friends’ parents, Your parents’ friends, Your parents’ colleagues, Your children’s friends’ parents, Classmates, Alumni of any school you attended, including high school, Members of the local chamber of commerce, Members of your church, temple, or other faith-based groups, Professors, Teachers, Mentors, Former Bosses, Former or current colleagues, Former or current customers, Former employees whom you managed, Members of the YMCA, YWCA, or other clubs, Members of professional groups to which you belong, Members of a service organization (e.g. the Rotary), School committee members, Counselors, Friends from military service, Coaches (in sports, arts, hobbies, etc. ), Your doctor, Your lawyer, Your insurance agent, Your accountant or tax preparer, Your auto mechanic, The manager of your favorite coffee shop, The bartender at your favorite watering hole, The owner of maitre d’ of your favorite restaurant, Your barber/hairstylist, Your mortgage broker, Your real estate broker, Your veterinarian, Your dry cleaner, Any shop or business owners who know you by name (especially in “˜high touch’ businesses like art dealers, florists, dress shop managers, wedding planners, wine dealers””people who have long conversations with others), Any acquaintance who owes you a favor, spend some time defining your target market. You’ll ostracize yourself from them so that in the future they’ll be forced to check Caller-ID before taking your call or find themselves suddenly running late for an appointment and need to promptly depart your presence. You may get a few mercy purchases from those who have a hard time saying no because they don’t want you to feel discouraged. If you stumble upon someone who is genuinely interested in what you’re offering, it is mere statistics. If you spray enough bullets you’re bound to eventually hit something. But is that the reputation you really want to start off with? Or would you aim narrow, and therefore miss narrow? Lastly, if you’ve signed up for a company that has a fantastic product line, don’t you think you should be able to find others who enjoy and benefit from it as much as you do? No need to approach your auntie who has severe allergies to buy your candles or your sweet bald mechanic about your organic shampoo. Just because you may know 100 people, doesn’t mean they’d be good customers. *I originally wrote this post in 2008, and periodically revise it to ensure it’s still current. Please Like, Share, and Leave a Comment Below! As a Scentsy consultant, do you look forward to or dread the question when asked “What do you do?” as it pertains to your work or profession? 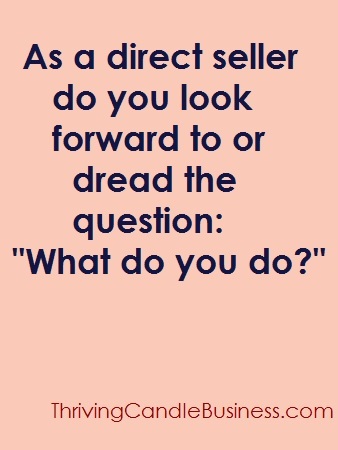 If you love this question, I venture to guess you’re doing well with your Scentsy business. You’re realizing success because you have the passion and drive to make it work, or you’ve simply figured out a way to respond to that question in a way that is contagious so that others want to know more. If you dread this question, it’s probably because you’re just not sure what to say. Am I right? Let’s say for the past x years you’ve been a stay at home mom or you work at an office or a store. 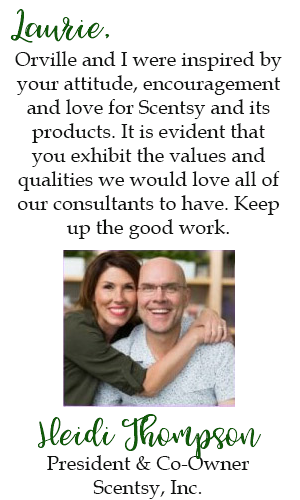 Now, in addition to that you’ve also started a Scentsy business. You may not even look at it as that. 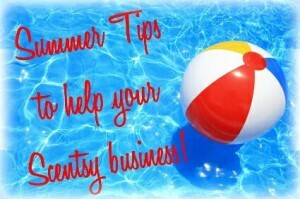 You may be thinking, “I joined Scentsy, but I didn’t start a business.” If any of the above applies to you, read on. This mindset may be part of your problem. If you hear someone talk about the Scentsy Family Reunion, we’re referring to our annual consultant convention. You can read more about the fantastic event here. Below are the locations of the previous Scentsy conventions/family reunions. 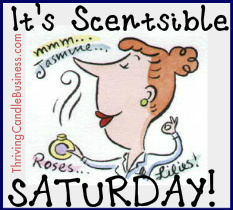 Oh Brilliant ones: it’s Scentsible Saturday, which means it’s your turn to tell us about anything related to scents, candles, aroma… you get the idea. To participate LIKE us on Facebook at the box in the left column of this website or by going HERE. Once you’re there, look for this Scentsible Saturday graphic.